Amid his verbal sparring with the Johor royal family over the appointment of the state's next menteri besar, Prime Minister Dr Mahathir Mohamad today reiterated the 'dangers' of granting absolute power to the rulers. 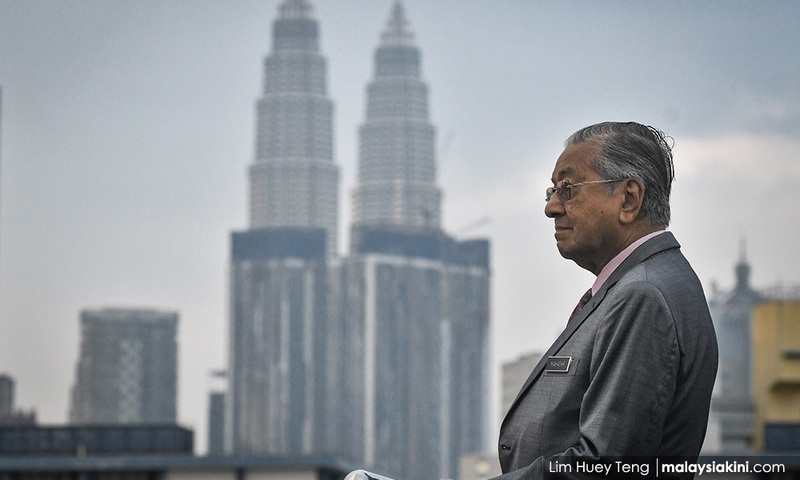 In his speech at a function in the Perdana Leadership Foundation earlier today, Mahathir cautioned that certain rulers may use such power for their own interests, rather than their states’. "This is what happens if we give absolute power to the rulers. They may put their own interests before their states. "It has happened many times before," the premier said, pointing to history, from the Malay rulers ceding their states to the British, and the "selling off" of Singapore to the British. "It is to save the rakyat - for the rakyat to choose their own representatives, who can be voted out (of power) if they do not perform." Mahathir also lamented the "feudal" mindset of the Malays, who he said are of the opinion that the Malay rulers cannot be questioned, even if they make mistakes and do not follow the rule of law. "Are we willing for this to continue? The rakyat is afraid of not serving the rulers, and when the rulers act beyond the constitution, it is the rakyat who become the victims. "This is the problem we have now. If we are willing to lose democracy and the parliamentary system, then let's stop having elections," said the premier. The verbal jousting between Mahathir and the Johor royal household came amid the resignation of Osman Sapian as the Johor menteri besar earlier this week. Johor Crown Prince Tunku Ismail Sultan Ibrahim said it is the prerogative of his father, Sultan Ibrahim Sultan Iskandar, to appoint a replacement for Osman. In reply, Mahathir said it is the “winning party”, meaning Bersatu, which has the right to select the new Johor menteri besar. Sultan Ibrahim, who is currently overseas, subsequently issued a statement urging "certain quarters" not to meddle in the state's affairs, adding that he will make a decision on the matter soon. In response, Mahathir issued a reminder that the country is not an absolute monarchy, but a constitutional monarchy. The prime minister added that there would be no democracy if rulers had the final word on the choice of prime minister or menteri besar. Osman has said that he will reveal the reason behind his resignation on Saturday, after an audience with Sultan Ibrahim.